The New Jersey Department of Community Affairs launched a two-year Housing First pilot program Thursday that will partner with community organizations and healthcare providers to get some of Middlesex County's most vulnerable individuals into supportive housing. 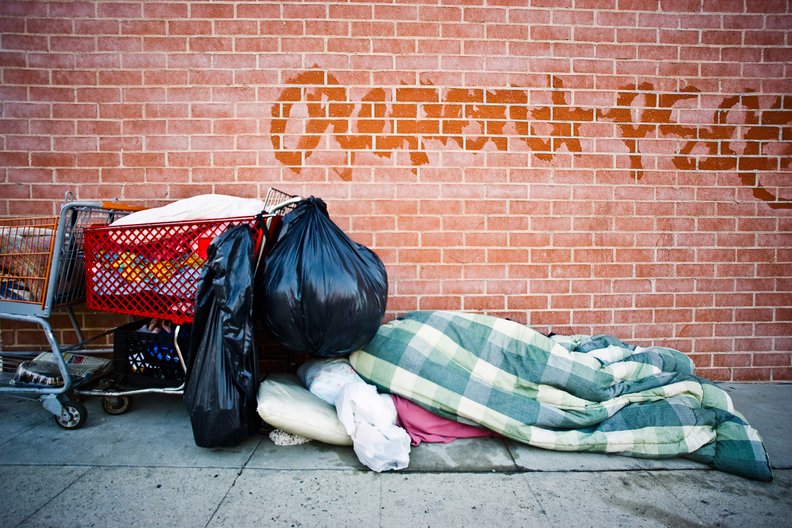 The DCA will provide 25 housing vouchers to homeless people. Robert Wood Johnson University Hospital and St. Peter's University Hospital will fund Coming Home of Middlesex County for the cost of two case managers to provide services like mental health and substance abuse treatment for the participants. WellCare Health Plans will offer its database to track referred agencies, social services that are used and their outcomes. The goal is to identify the most frequent users of health services and taxpayer-supported institutions and give them shelter and the proper support to relieve the burden on those facilities. Costs at the Hudson County Jail, Jersey City Medical Center and shelters decreased from $850,000 to $452,000 over one year for individuals who received housing and supportive services, according to a cost analysis by Hudson County that tracked 25 people in a previous program. When a person doesn't have a place to sleep and is exposed to the cold or possible violence and lacks a stable source of food, it gravely affects their overall health, said Leslie D. Hirsch, interim CEO and president of St. Peter's Healthcare System. That usually means they end up in the emergency department, he said. "When people come to the emergency room, in a sense it's too late," Hirsch said at a news conference Thursday morning. "We have to be integrated with the social fabric of the community." Addressing homelessness, education, economic development and other social issues has been a relatively recent focal point for providers as they look to prevent more serious medical complications. But this requires communication and coordination with public health departments, social workers, community groups and other healthcare organizations, which has been a challenge for the industry. These efforts are part of a broader push from the Affordable Care Act to reach patients before they enter the healthcare system, although the current federal reporting framework for tax-exempt not-for-profit hospitals may deter these types of investments. Between St. Peter's and RWJBarnabas, they accumulate about 140,000 emergency-department visits a year, Hirsch said. "We need to stop that and get them on the front end by organizing housing, social services and mental health so they won't end up there," he said at the conference. WellCare is building out its Community Connections program, which helps identify holes in the social safety net, said John Kirchner, president of WellCare of New Jersey. WellCare will share its database that tracks social services that are being used and helps connect individuals to those programs. "We look forward to not only be able to help people access those services, but to catalog the services being utilized and what the cost of those services are so we can expand this program into additional communities in New Jersey," Kirchner said at the conference. The supportive services provided to people in the new Housing First program include helping people obtain IDs and enroll in Medicaid, sign up for food stamps and other programs. The Puerto Rican Action Board and other community organizations will also help them find housing and furnishing as well as get acquainted with the public transportation system, local shopping and recreation. The program includes supportive counseling, mental health rehabilitation, substance use treatment, crisis services, domestic violence prevention sessions as well as primary and dental care. Participants also get help with literacy programs, employment, education and financial services. The new program builds on a Housing First pilot program being run in partnership with the Jersey City Medical Center and Hoboken University Medical Center announced in September. Under the Familiar Faces program, the New Jersey Department of Community Affairs will also provide up to 25 rental vouchers, which cost about $25,000 a year per person combined with supportive services. Participants will use 30% of their income as rent, and the voucher will make up the difference. Hoboken University Medical Center will provide $50,000 a year for supportive services for five individuals who are provided housing, while Jersey City Medical Center will expand its already existing supportive housing program and hire a full-time case manager to offer services to up to 20 people. The Familiar Faces program marked the first time two major hospital systems in New Jersey and the state funded permanent supportive housing solutions for the homeless, officials said. That program is based on Hudson County's Frequent User program, which leveraged local and private funding for up to 500 chronically homeless individuals across the state. Also, the New Jersey Housing and Mortgage Finance Agency is collaborating with the New Jersey Hospital Association to develop affordable housing. Under the $12 million Hospital Partnership Subsidy Pilot program, the finance agency will match contributions from participating hospitals to fund three to four housing projects. "These are the cutting-edge partnerships that effectively end homelessness and reduce healthcare costs for all of us," Kristin Miller of the Corporation for Supportive Housing said in a statement, adding that she hopes other states and counties follow suit.